A native Houstonian, Jay Freedman is no stranger to the jewelry business. While attending the University of Houston and working as the Youth Director at his Synagogue, he was offered a position at a local jeweler that was too good to pass up. Armed with the keys to the store and no knowledge of the industry, Jay went to work and learned the business from the ground up with on the job training. Although Jay wore many hats in the store he was now managing, his specialty became the retail sale of loose diamonds, and his wholesale source became Jonathan Siegel and Sergio Nuncio. In May of 2000, Jay was approached by Sergio and Jonathan to come and work with them. The timing was perfect, as he had reached his potential at the store he was in, and was ready to make the change from retail to wholesale and take on new challenges. Being the low man on the totem pole didn’t scare Jay, who is not afraid of hard work, long hours and putting in his time, and he took on every task and challenge handed to him and proved to be an invaluable addition to the duo and they soon became a trio. At Jonathan’s Fine Jewelers, Jay deals mostly with the manufacturing side of the business as well as selling loose diamonds to the retail trade. Because of his roots in the community, he has a steady flow of customers that are loyal and spread his name and reputation far and wide. 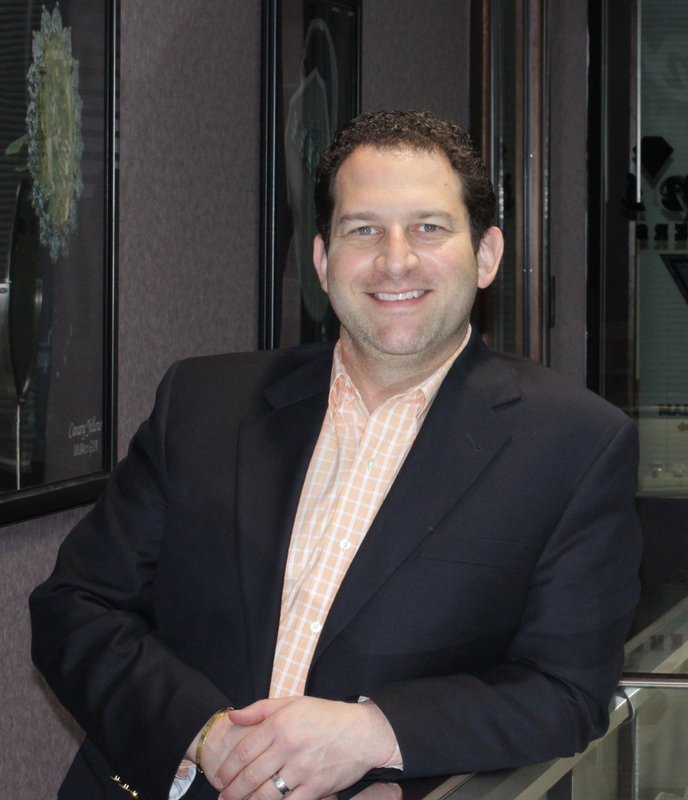 Jay prides himself on knowing all sides of the retail and wholesale business and realizes this gives him an edge when it comes to selling loose diamonds. He also loves to see his designs being made from start to finish. Jay is married with three children and when he isn’t spending time with his family, you can find him fishing or boating, playing with his aquariums or making sure his lighting is just right for the pictures he takes of all the jewelry that is custom made at Jonathan’s. Jay’s favorite place to be is on the water with his best friend, who is his wife. What Jay loves the most about the diamond business is the six degrees of separation. Much like plotting a diamond for width and depth, he enjoys talking to people and finding out how they ended up sitting on the other side of his desk. The referrals humble and amaze him every single time he hears from a new customer that they heard from a previous customer who heard from a previous customer that Jay was the only person to see about getting a ring made. Jay appreciates each and every referral and welcomes all new customers as if he has known them as friends for life.